Visiting Darjeeling itself is full of fun and delights. Driving from the plains of Siliguri through the meandering roads to Darjeeling offer tourists to enjoy the lovely view of the emerald green valleys, vast stretches of the tea gardens, , cascading waterfalls, small brooks and enigmatic natural beauty. The journey of 89 kilo metres is full of fun and adventure and the view of the gorgeous deep valleys can take your breath away. Darjeeling a quaint little town situated at an altitude of somewhat around 2590 metres above the sea level. Once the summer capital of the British Raj today Darjeeling is the most sought after holidaying destination in Northeast India. The town Darjeeling has so many wonderful tourists attractions and places of tourist interest that allow tourists to enjoy the real charm and beauty of the nature with incredible and ultimate experience. Darjeeling tourism offers you to visit many wonderful places among which the important ones are located just few kilometres from the main town. Some of the important places to visit in Darjeeling are Dhir Dham Temple, Darjeeling Botanical Garden, Padmaja Naidu Zoological Park and Peace Pagoda also called Japanese Garden. These are some of the picturesque sightseeing attractions that of Darjeeling tourism that pulls the attention of thousands and hundreds of tourists all the year round. Adding more beauty to the town and list to the places to visit in Darjeeling, just a 2 kms away from the town are the well organised tea gardens in Happy Valley Tea Estate. As Darjeeling is globally known for its high quality tea, from these tea gardens, the high quality tea leaves are produced and are made ready for the export in the international market. Beside these important tourist places, Batasia Loop, Rock Garden, Ganga Maiya Park and Tiger Hill are also important places to visit in Darjeeling. Tiger&nbsp; Hill is the best place among all as from there one can enjoy the world best sun rise as well as the captivating view of the Darjeeling hill town, snow capped Himalayas and the captivating view of the natural beauty. 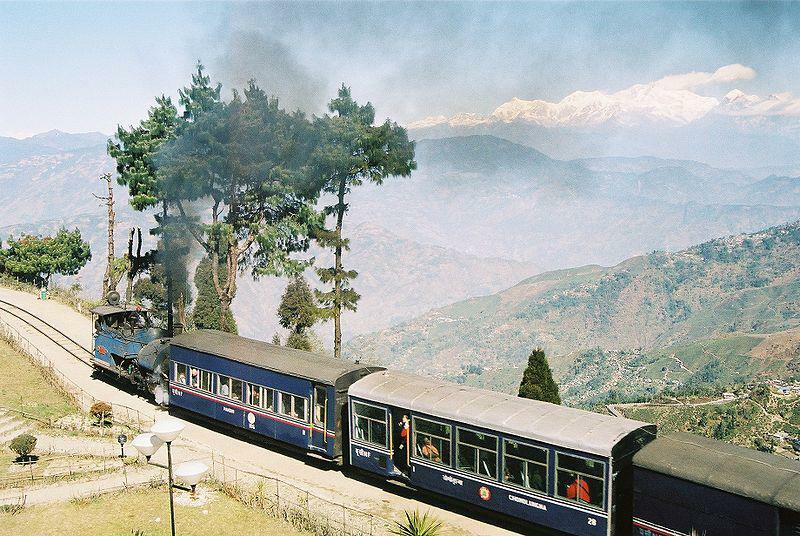 Darjeeling tour cannot be regarded as complete one until and unless you enjoy the toy train journey. Considered to be the Gem of Darjeeling Tourism, Darjeeling Himalayan Railway is one of the important tourist attractions, which no one can miss to pay visit. Visitors to Darjeeling can also enjoy memorable and happy journey in this world famous toy train and take home incredible experiences and memories to relish in for lifetime. Come and Feel the Beauty of the Queen of Hill Darjeeling and take home priceless memories! This entry was posted in Darjeeling and tagged darjeeling toy train, darjeeling toy train tour, toy train tour in darjeeling, trip on darjeeling toy train. Bookmark the permalink.